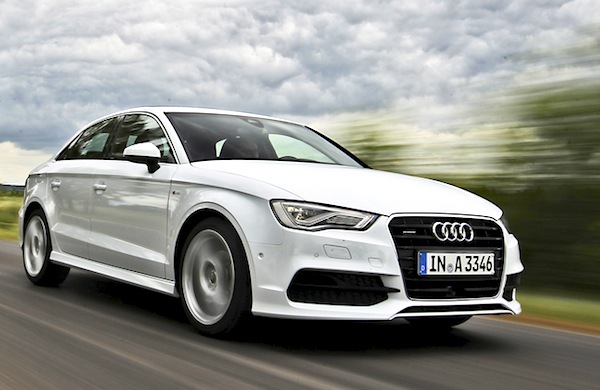 The sedan variant boosts the Audi A3 to unheard-of heights in the UK. The UK market shows no sign of decelerating, delivering an astounding 26th consecutive month of year-on-year growth at +8% in April to 176,820 registrations. The year-to-date total now stands at 864,942 units, up a massive 12.5% on 2013. Brand-wise, below Ford in great shape at +17%, Vauxhall (-3%) feels the heat from Volkswagen (+3%) at 17,052 sales vs. 16,590. German premium brands are on fire once again: at #4 Audi is up 20% to a huge 7.3% market share thanks to 12,958 sales, BMW follows at +18% to 10,484 units and Mercedes ranks 7th at +14% and 8,736 sales. Other great gainers in the UK in April include Skoda (+20%), Land Rover (+26%), Suzuki (+30%), Lexus (+36%), MG (+1600%!) and Maserati (+665%). BMW sales are up 18% this month in the UK. In the models ranking, the Ford Fiesta kicks goals at +27% year-on-year to 10,250 units, followed by the Ford Focus (+14%) and the VW Golf up one spot on March to third position, passing the Vauxhall Corsa. But the big event this month is the Audi A3, potentially boosted by the new sedan, reaching its highest ranking in the UK in the nameplate’s 17 year career: #5 with 3,754 sales and 2.1%, beating the #6 spot it reached back in January 2009. It was close though: the A3 is only one unit above the Nissan Qashqai at #6! Notice also the Nissan Juke back inside the Top 10 at #9 and the Fiat 500 holding up very well at #10. Full April 2014 Top 10 models and Top 42 All-brands Ranking Tables below. 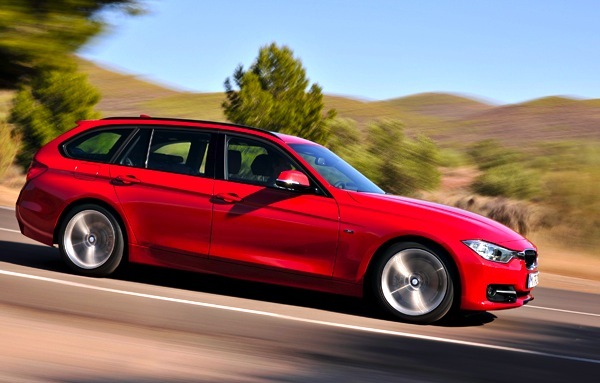 UK June 2013: 2 BMWs in Top 8, private sales up 21%!